TekSynap (formerly Synaptek Corporation) was one of top 3 on the Fantastic 50 List and was the recipient of the prestigious Vanguard Award for having the best growth rate in Technology. The Fantastic 50 List is comprised of privately held companies with headquarters in Virginia, with sales between $200,000 and $200 million, and demonstrate positive revenue growth and positive net income in its most recent fiscal year over the previous year. Companies are judged on four-year sales revenue history. This award was presented to TekSynap at the Awards Ceremony held on April 28, 2016. The Fantastic 50 List will be published in the May 2016 issue of Virginia Magazine. 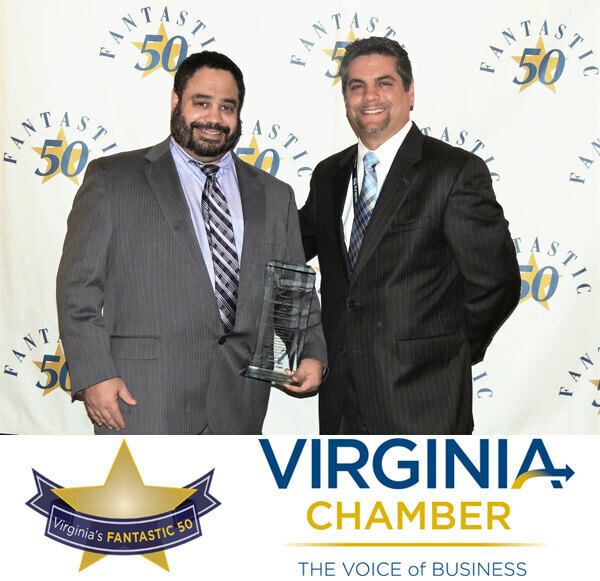 Virginia’s Fantastic 50 award program is a signature event of the Virginia Chamber of Commerce. Now in its 21st year, the Fantastic 50 program is the only annual statewide award recognizing Virginia’s fastest growing business. Nominations for the 2016 Fantastic 50 were sought last fall from local chambers of commerce, economic development organizations, and through the sponsors’ networks; companies may also nominate themselves. The Fantastic 50 award program is sponsored by the Virginia Chamber, Cox Communications, Inc., Avison Young, Inc., Virginia Business Magazine, Dixon Hughes Goodman, SunTrust Bank, Capital One, the Washington Nationals, and the Westfields Marriott.